The subject of costumes for magicians & illusionists is not frequently discussed but is a vital component of any stage show. Your costume or attire is part of the production value of your show. More importantly, it communicates the style, feel and character of your stage persona or the theme of the show. Over my 18+ year career, I have gone through many costume changes. These were not just changes in the cutting or colour of a jacket but were completely different looks to represent the style of my show at a particular time. It is very important to ensure your wardrobe is contemporary or original unless you are performing in a show with a specific theme. I generally would not be caught dead in a sequin jacket but I was costumed in one for a production show that had a 1960s theme so it was necessary to fit the overall image of the show. Are you still dressed like a clichéd illusionist from the 70s & 80s in sequin jackets or tailcoats? Or are you still stuck in the Matrix with long black trench coat and PVC pants? Or are you copying Copperfield’s look of a white T-shirt & jeans with tucked out shirt? Or are you “Blaine-ing” it up in a grey T-shirt and jeans? It sounds harsh but I suspect that if you were to watch through a couple of promo videos of illusionists, you might see more than a handful guilty of the above. It is also very important that your costume fits the venue you are performing in. A nicely cut tuxedo with cummerbund will look great in a high-end casino, but if you are performing on a beach for a family show, it will look silly. Jeans with a belt chain and a skull T-shirt looks cool in a music or street festival but will look inappropriate at the awards ceremony at a corporate event. Naturally, the same line of thinking must apply to your assistants or other talent working on stage with you. A professional costumer who has experience designing and fabricating performance costumes will have all the necessary equipment and experience to produce a costume that meets your needs. They are experts in designing stage wear and know how to make something look good on-stage. And that is the key word: ‘on stage’. To the professional costumer, costumes are meant to look good on stage. Thus, when viewed up close, the costumes will definitely not look as good as designer or tailored outfits. They are also not made for comfort. However, professional costumes are whizzes at making great-looking stage costumes at affordable prices. Many costumers may have catalogs of photos or ready-made costumes that you can buy or modify for your needs. You can also show them pictures of costumes that you like and ask them to use it as a reference and custom-design something for you. Fashion designers are an interesting breed of people. There are usually highly artistic but all seem to have their own quirks. However, all of them pride themselves in creating fashion pieces that are unique and aesthetic (although beauty is in the eye of the beholder). If you can find a fashion designer that fits your style, speak to them to see if they are interested to design and produce something for you. Just be warned that they usually work on their own timetable and not yours. Design fees can vary greatly between designers so make sure you check before committing to a project. If you are performing a modern contemporary show, you can purchase your clothes from a designer brand outlet. Good brands will have well-cut clothes that will make you look good. The cost of a good complete outfit with accessories can easily run into the thousands for branded stores. This is the source of my current attire due to my performance style, current show formats and target audience. While I have switched between looks and material over the last 5 years, the one good thing about designer wear is that I will always be relatively “in fashion” and look contemporary. A professional tailor or seamstress will be able to custom-make a suit to your needs with some kind of frills to make the outfit flashier. However, the general tailor is usually used to making standard suits and may not have the ability to produce a special costume that you have in mind. While they are experts in cutting and sewing, they may have little creative design beyond the standard suits. You should bring photos of a costume you like as a reference or better yet, get a dress pattern that the tailor or seamstress can follow. The website sells a wide variety of classy costume designs designed specifically for performing artists and entertainers at reasonable prices. You can even subscribe to the site to get a costume design plan free. Their blog also has useful information on costumes for performers. The advantages of employing the help of free-lance designers or fashion students are that they are likely to be less expensive and will be willing to work with you on every small detail. However, the trade-off is that they may not be as experienced. While their designs may be artistic and fresh, they may not have experience on the small practical details of performance attire, such as the durability and ‘behaviour’ of different fabrics and materials. Another problem with free-lancers is that they may not have a full appreciation for deadline and schedules as they have other priorities and commitments. All the best and look good for your next show! 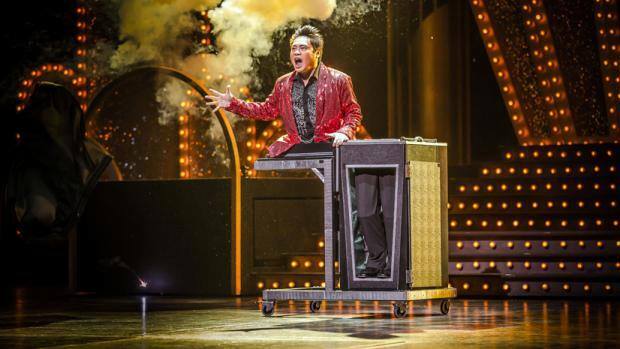 Next articleHow to Sell a Magic Illusion Show that You Don’t Have?